It has been a while since I have blogged. I have been super busy!! Things have finally calmed down a bit, so here I am! Last night I tried a new recipe! 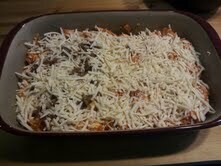 It is called Bubbled Up Pizza Bake. I found the the recipe off of Pinterest. I don't know about you, but I HATE cooking on Sundays! It is my day of rest, and I don't want to have to be in the kitchen. However, we still have to eat, so this creates a problem. Most Sundays we go out to lunch after church. We normally eat a light dinner in the evening, because we are still full from lunch. My husband and I have both been sick, so we decided to stay home all day yesterday. We slept in until 11:00 AM. I know!! It was heavenly :) The extra rest was much needed. Since we didn't go to church, we didn't have our normal Sunday lunch. When supper rolled around, we were both hungrier than normal. 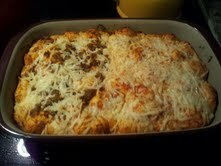 I wanted something that was filling yet easy to cook, hence, Bubbled Up Pizza Bake! It was a hit, super easy and my husband loved it! See Below for the recipe :) If you follow me on Pinterest, it is under my "Favorite Recipe" board. Enjoy! 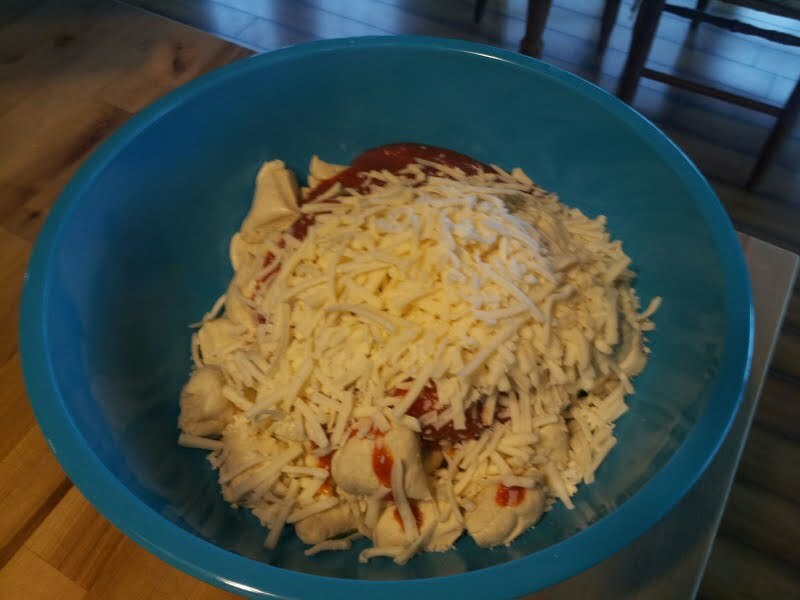 ** This dish is a great family dish,because you can section off the Bubble Up Pizza Bake and add each individual's favorite toppings! ** See pictures below! My name is Casey! Thanks for stopping by! I hope that you find my blog to be helpful and resourceful. Here, at a Bundle of Fun, you will find topics on DIY projects,recipes, faith, family, helpful tips and items that I find handy. A few fun facts about me: I'm Jesus' loving gal, I have been married for 4 years to my wonderful husband, Michael, Diet Coke junkie, dog lover, yard sale enthusiast and a DIY wanna be!